In a contributed article that ran on AdAge.com, John Boiler, CEO of ad agency 72andSunny, said that there are legitimate business benefits in ditching the term "client" from the marketing gestalt, including building better working relationships, clearing up communication and creating a better culture. Boiler said that his agency began referring to each person by his or her first name (or nickname). By doing so, he said, the agency now thinks of clients as people, as opposed to cogs in a machine. Boiler’s view is a refreshing take on the overuse of nomenclature, and how the little things can make the difference in forging lasting business relationships. 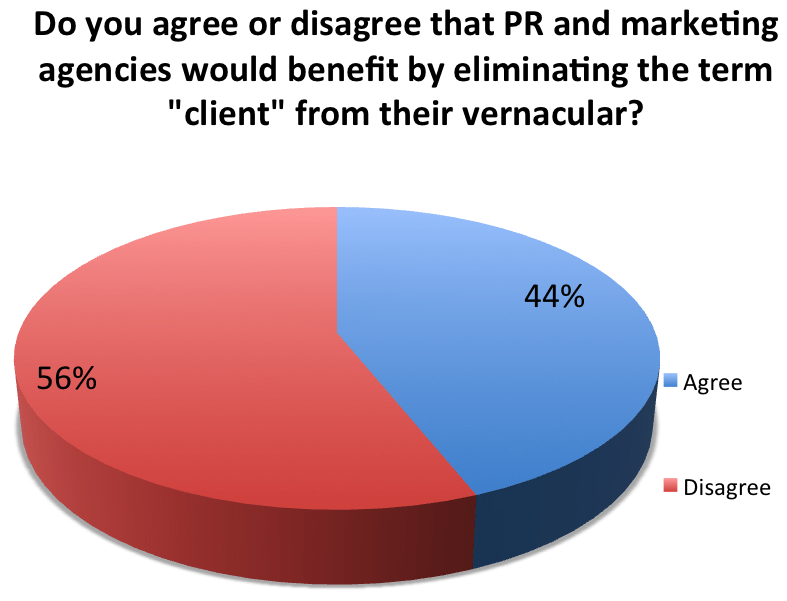 We asked PR News’ online community whether they agree or disagree that PR and marketing agencies would benefit by eliminating the term "client" from their vernacular. Of the nearly 50 responses, 56% disagreed while 44% agreed. 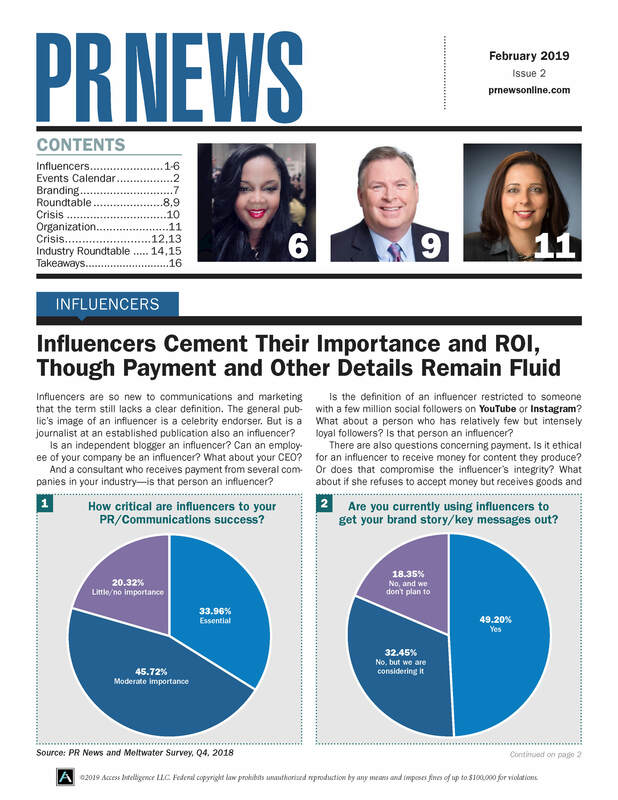 Perhaps it’s a bit too much too soon, especially for those who are juggling two handfuls of client accounts, but Boiler’s argument is a good one that touches on respecting relationships among clients. As one commenter wrote, "Folks at the agency can/should be friendly; but you are not their friend. They are the people who are paying you for a service. It's really as simple as that, all feel-good buzz aside." For those who are not ready to drop the word “client” just yet, you can still brush up your office habits with these six tips to mind your manner in the workplace. Clients should absolutely be referred to by their given names, but that doesn’t mean we need to ditch a word that can help clarify the communication process. Though we are paid to provide a service, a quality service provider is a partner and colleague who prioritizes the client’s interests, and doesn’t treat them like cattle. Names should be the first choice, but “client” has its place, too.